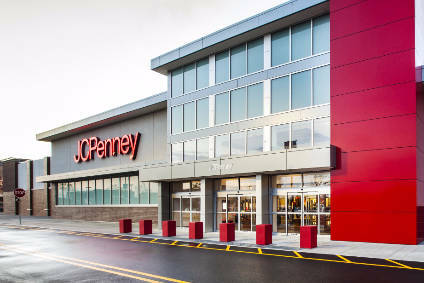 US department store retailer JCPenney has announced its executive vice president and chief financial officer, Edward Record, is to step down from today (11 July) to pursue other interests. Record, who joined the company as CFO in March 2014, will remain with the company in an advisory capacity until 7 August to assist with the transition as the search for his replacement gets underway. Meanwhile, Andrew Drexler, senior vice president, chief accounting officer and controller, will assume the position of interim-CFO along with his current duties. "I've had a very rewarding experience at JCPenney, and am proud of the work we have undertaken to strengthen the company's financial condition," Record says. "JCPenney is well-positioned for the future, and I will continue to follow the company closely as the team builds on the positive momentum it has experienced over the last few years." During his tenure, JC Penney retired over US$1.4bn in debt, enhanced its revolving credit facility, and has obtained numerous credit rating upgrades. "On behalf of our board and leadership team, I want to thank Ed for his service and dedication to JC Penney during a challenging turnaround and a competitive retail climate," adds CEO Marvin Ellison. "We wish him much success in his future endeavours." Ellison adds Record's departure coincides with a "demonstrated sales performance improvement" in the second quarter, and says the retailer expects to report a "significantly improved top-line result". The retail giant saw an improvement in women's apparel, despite widening its net loss to US$180m in the first quarter, compared to net loss of $68m in the year-ago period.